Designing shows for artistes ranging from Sheryl Crow to Fleetwood Mac over a long period, experienced LD Paul ‘Arlo’ Guthrie has been increasingly finding GLP’s impression X4s an essential component in his touring inventory. 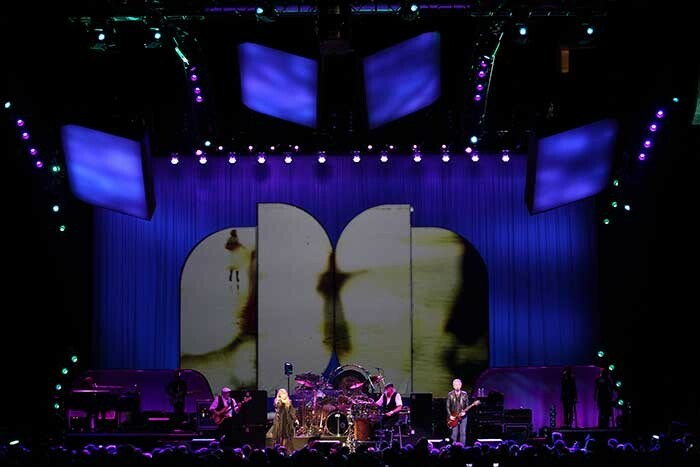 Earlier this summer, PRG supplied production for the evergreen Fleetwood Mac’s LIVE 2013 48-city Stateside arena tour — and this time Guthrie requisitioned 36 of the new generation LED moving heads. The X4 itself features 19 of the new Osram Quad Optic 15W RGBW LED’s in a slimline body with no base unit weighing just 17.5lbs. The fixture offers a 7° to 50° zoom range for variable beam spread and matrix effects, and full color mixing including CTC and customizable pixel patterns across its front face — all essential attributes for a forward thinking production designer. The association between Paul Guthrie’ (of Toss Film & Design) and Fleetwood Mac dates back to 1999 when he worked with lead singer Stevie Nicks, before co-designing the band’s 2003 tour with their veteran LD Curry Grant and Bruce Rodgers (of Tribe Design). He then took over the reins entirely for their 2009 and 2013 tours. Curry’s own history with the band dates back to 1974, and since he had always used PRG as his preferred service provider Guthrie saw no reason to break with tradition. “I love their attention to equipment, service and crew,” he says. 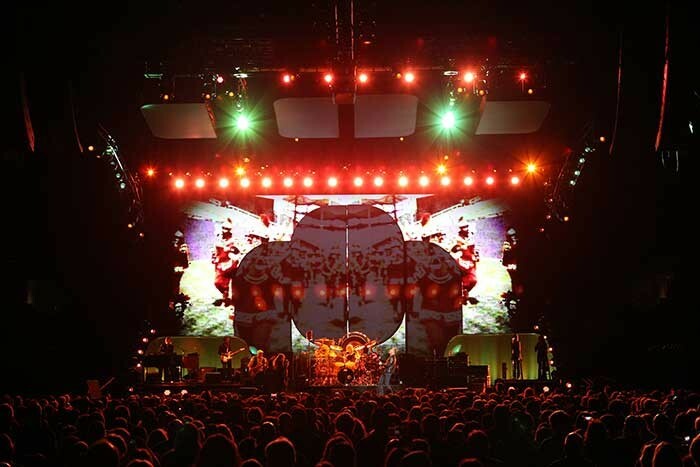 With a pedigree extending over two decades Paul Guthrie had become an early adopter of GLP’s pioneering LED technology, using the original impression 90’s soon after they were released and moving onto the impression 120 RZ zooms in 2010, when Sheryl Crow went on tour. “I had been looking for a small LED wash light at the time, and these made exactly the right impression,” he said. Getting them to and from a gig is also a breeze, he notes. 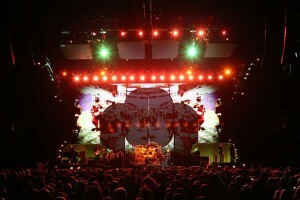 “The packaging is great — having six heads fitted in each small road case that would normally hold two lights is a great advantage.” And he confirmed that every fixture worked from first show to last without issue. Board operator Rich Locklin also adds his endorsement that the lights are both easy to programme and fast to respond. The two and a half hour show itself, which resumes in Europe in the Fall, is built very much around greatest hits — but the band is also promoting its current four-track EP Extended Play — their first new recordings in over a decade. Overall, Paul Guthrie says he has been “extremely happy” with the performance of the impression X4’s on the road. “Now that the marketplace is flooded with choices for LED lighting it is difficult to criticise a light that is well designed and well built with feature sets catering to users that want good color rendering and smooth transitions,” he says.